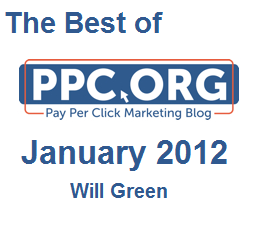 Already, I have gone over the most useful articles I made on ppc.org in 2011. My main reason for doing this is to help you and your PPC campaign as every article may not help you specifically: you may find only certain articles you can relate your PPC campaign to will help you. Already, I have published 21 articles excluding this article in 2012 on ppc.org alone! For this reason, I think it is necessary to pick out the key articles that will help you achieve success easier in PPC from January 2012. In-text advertising is fairly new and unique in the online advertising market. The fact it can work alongside the big guns such as Google Adsense means there are many publishers currently using it on their websites. With a super low CPC and high CTR, you may find that your perfect conversion rate won’t come from just AdWords but Infolinks and in-text advertising too. The combination of in-text PPC and ad space PPC can be quite successful. This articled turned out to be quite a big hit and I don’t blame it either. People on the internet cannot be bothered to read through pointless articles which could be summed up in one bullet point. The fact that the 21 tips are short and precise makes it a perfect read for advertisers with short attention spans (which is anyone on the internet!). For any beginners, this is a must read. For all other advertisers, you may pick up on a few tips that can help you out in PPC. Hopefully, you learn something new every day. This article is extremely detailed explaining three extremely key rules to creating your domain name in adverts. You may have made the best title and description for your advert. However, if you domain name is not believable, long or doesn’t just look right, it can turn readers right off clicking on you advert. Domain name in PPC adverts affect CTR more than most advertisers know. A great care and detail therefore needs to go into your domain name in your advert. I’m still amazed that 95% of Google’s revenue comes from AdWords! It’s staggering consisting how many diversifying products Google has. With this 95%, I believe Google give 95% effort to AdWords too. This article explains why AdWords is such a successful for Google. They have created a service that has managed to make billions. It’s important for PPC advertisers to not assume that PPC is just for text adverts. Many advertisers use image adverts too. ‘Why?’ you might ask. Well, here are 5 reasons why people use text adverts and four reasons why other advertisers use image and animated adverts. They have disadvantages and advantages that make some ad formats better suited to some campaigns than others. There is always doubt in PPC advertisers for those not glued to AdWords. Are there better alternatives that produce better results than PPC? What about banner advertising such as ? Many people move from PPC to banner advertising without realising the benefits and drawbacks to both advertising types. The importance to this article is that PPC is better than banner advertising and this article explains why. There are some people (like me) that like to experiment a little when it comes to advertising online. When I see a new PPC program, I immediately want to try it out. This is a review of a newly released PPC program called Ad Dynamo. Created in 2009, I tried out both the advertiser and publisher side to this Adsense competitor and alternative. Here is my opinion. There’s the top seven best articles I believe I created in January 2012 that will benefit you the most. I hope this has proved useful to you like it has for so many other people.